Plot: 24-year-old office worker “Yurika”, awkward, offbeat, and still carrying a torch for cool and popular middle school crush “Ichi”, tries to locate said crush and meet up, while fending off the advances of an uncool co-worker “Ni”. Okay, so the story doesn’t seem special, but the “awkward and offbeat” nature of Yurika is the reason that Tremble All You Want 勝手にふるえてろ turns out to be a good movie. Specifically, it’s Matsuoka Mayu‘s (松岡茉優) portrayal of Yurika which is notable. I’d seen her in supporting roles in a few doramas over the years, but she amazed me with her range in the starring role. As I mentioned, the plot was standard romance fare, but the interesting twist is that Yurika lives in a semi-fantasy world, imagining conversations with people that acquaintances real life. At the beginning of the movie, these seem like normal conversations with friends or close acquaintances, but we soon suspect that she doesn’t have any real relationship with these people and is just imagining the conversations. This fact is made clear to us towards the end of the film with a wonderful scene in which Yurika actually sings her feelings to the audience, looking directly at the camera. It’s pretty amazing and she pulls it off without skipping a beat. She doesn’t have a great singing voice, but that just makes it feel more real and engaging. Unresolved plotlines aside, I think Tremble All You Want 勝手にふるえてろ is well-worth your viewing time. 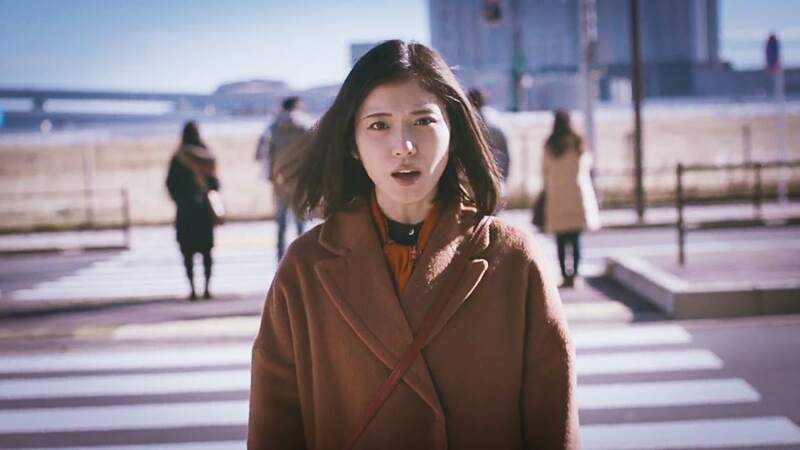 I’m really looking forward to more films with Matsuoka Mayu in the lead role. I rate it 7 out of 10.